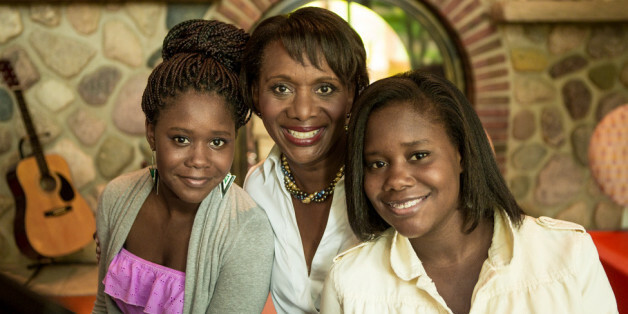 The youngest daughter of 18, yes you read that right 18, Candace Matthews CMO of Amway, found herself at a cross roads. In a great interview with MaterMea.com, Mrs. Matthews explained that by 1999 she was 40, single and childless. I don’t think I consciously chose to get married when I was 40. If you had told me when I was in business school I was going to be 40 when I got married, I would never have believed that. When I turned 40, I threw myself a big birthday party, because I honestly thought I was never going to get married. In retrospect, I would say, just like you put effort into your career, you have to put effort into a relationship. I believed “Oh, it will just happen,” or “You’ll just meet someone.” I didn’t really think about the effort that you have to put into it, just as much as anything else. I moved several times to several different cities and ended up in Atlanta, which I don’t believe is the easiest place to find a husband. (Laughs) Not at all! Thank the Lord that He put someone in my life there. Isn’t that just like God to move just on the other side of you feeling like it was time to give up? Due to her age, the newlyweds tried immediately to conceive a child. Those hope were quickly dashed as she learned that her fibroids were situated in such a way that she was unable to conceive. But they did try via intrauterine insemination. After 3 failed attempts they decided on adoption. Several years later they adopted a son and made a family from the ‘broken’ pieces they were given. A far cry from 18 kids but life takes you on journeys that are often unexpected but exactly where God wants you to be.